Israeli Rabbi Allows Citizens to Burn Arabs! Home World Middle East Israeli Rabbi Allows Citizens to Burn Arabs! Amid the raging wildfire in Haifa, a senior Israeli rabbi has permitted citizens to stop, burn, and even shoot Arab arsonists. 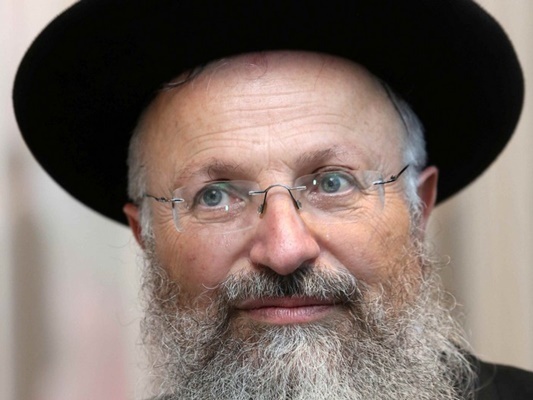 According to a report covered by IRNA, Shmuel Eliyahu, the municipal chief rabbi of Safed, says it is permissible to break the Sabbath in order to stop, and even shoot, Arab arsonists. Another spiritual leader also suggested that the wildfires raging in Israel are divine punishment for the delay in legalizing outposts in the West Bank. “The prime minister described the arson as terrorism … it’s a miracle that people weren’t burned alive, but we don’t rely on miracles. It’s certainly permitted and required to violate Shabbat to stop the fire and the arsonists. And if necessary, also to shoot them,” Eliyahu said on Facebook. Eliyahu believes that if the permission had been introduced earlier, the cities of Beit Me’ir, Carmiel and Haifa “would have been spared from this disaster”. “I hope that the chief of staff and the police commissioner will give clear instructions to soldiers and police officers and citizens drawn from the fact that the fires have not finishes, and it is their responsibility,” he added, according to Ynetnews.